CLASS Our class was made up of both Higher and National pupils, we worked together on the project as part of our compositional skills that we had to develop for our exam. SCHOOL Eyemouth High School, Eyemouth, Berwickshire, Scotland. 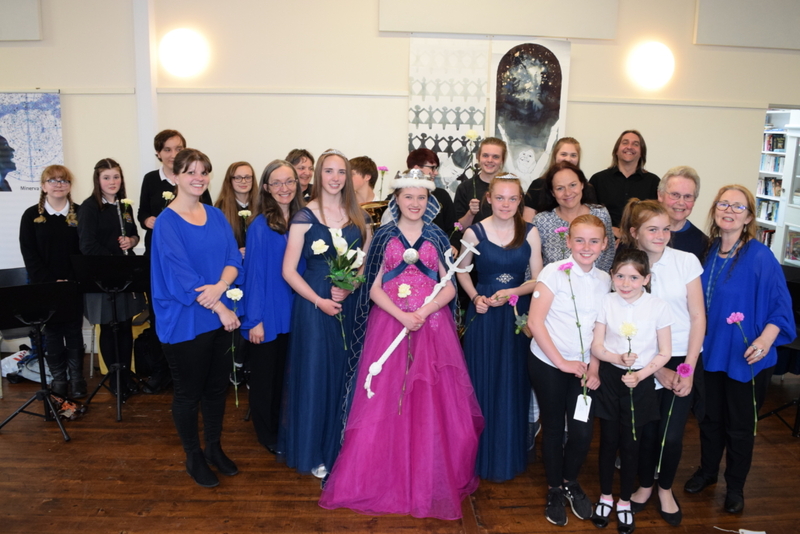 We composed a minimalist suite of music using the data Marjory Roy collected from the Eyemouth Disaster. Some of us take science based subjects such as Physics, Chemistry and Biology and would like to go into further education with these subjects. Funded by: The Institute of Physics Scotland, The Ambache Charitable Trust, Performing Rights Society Foundation. Frances came into our class to work on the project with us and to also help us with our compositions for our exam. 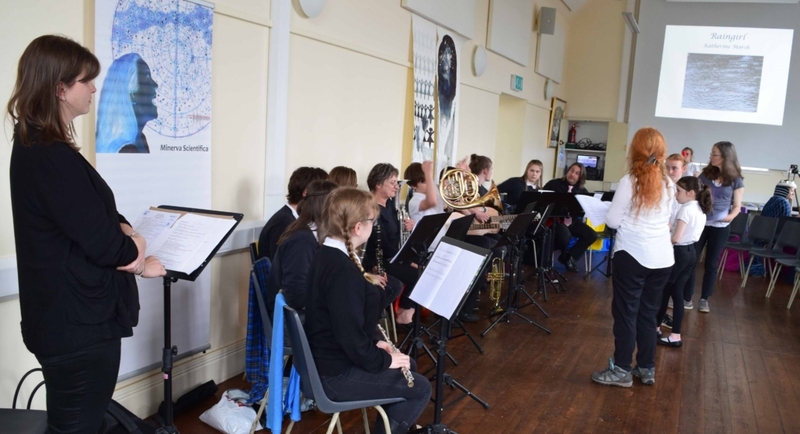 Anything like this was totally new to our class due to being in such a rural and isolated area, so the idea of composing our own music and performing it to the public was something we had never thought of. We wrote our music based on the data collected by Marjory Roy from the Eyemouth Disaster. This made all of our compositions very different as we each interpreted the data differently. We then learnt how to sing our pieces, again in a style none of us had used before. We found this both challenging and enjoyable. In order to perform these pieces some parts were put on guitar and bass. Our music teacher believes in each individual of the class and knows their strengths and weaknesses. He is very driven and wants us all to feel comfortable and happy with what we are doing. He strives to help us achieve the best work of our capabilities and will do whatever he can to help us reach our goals. 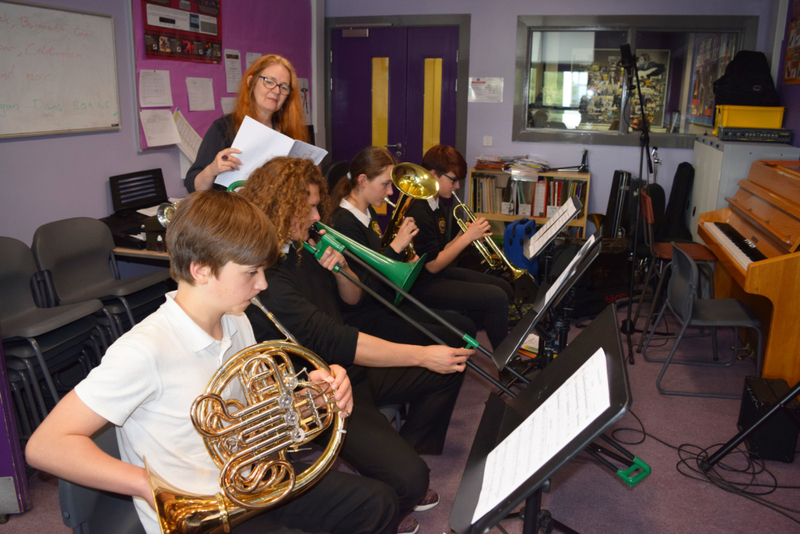 In class we have worked on music theory, individual performances, group performances, improving our knowledge of music and its surrounding topics and we have developed musicianship skills. As class members we are encouraged to try new things (even if they are out of our comfort zone) in order to push us forward and progress our skills. Last year our class did very well in their exams with a mixture of A’s and B’s in the results. We are still waiting on this year’s results. A number of us want to move onto further study/education in both Music and Science. 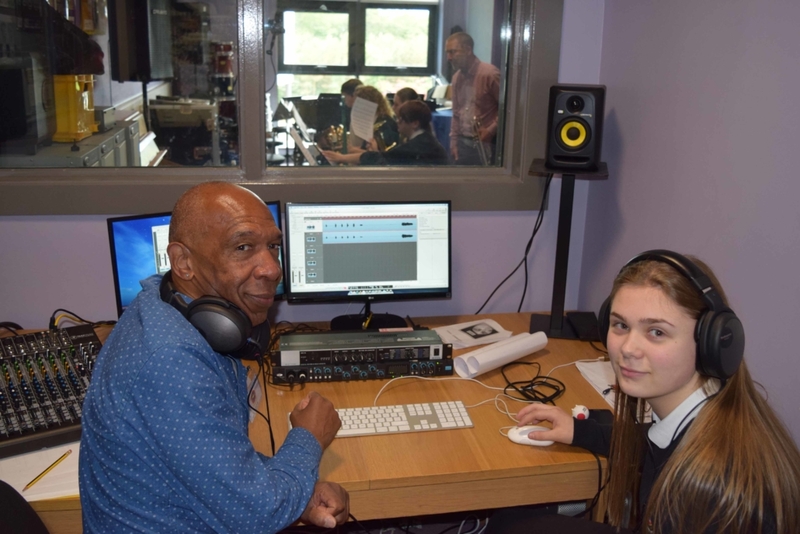 Working on the project has shown us how there can be a definite link between music and science. The highlight for our class would be our lessons. Due to us all getting along so well it made every lesson enjoyable and we were pleased to be there. 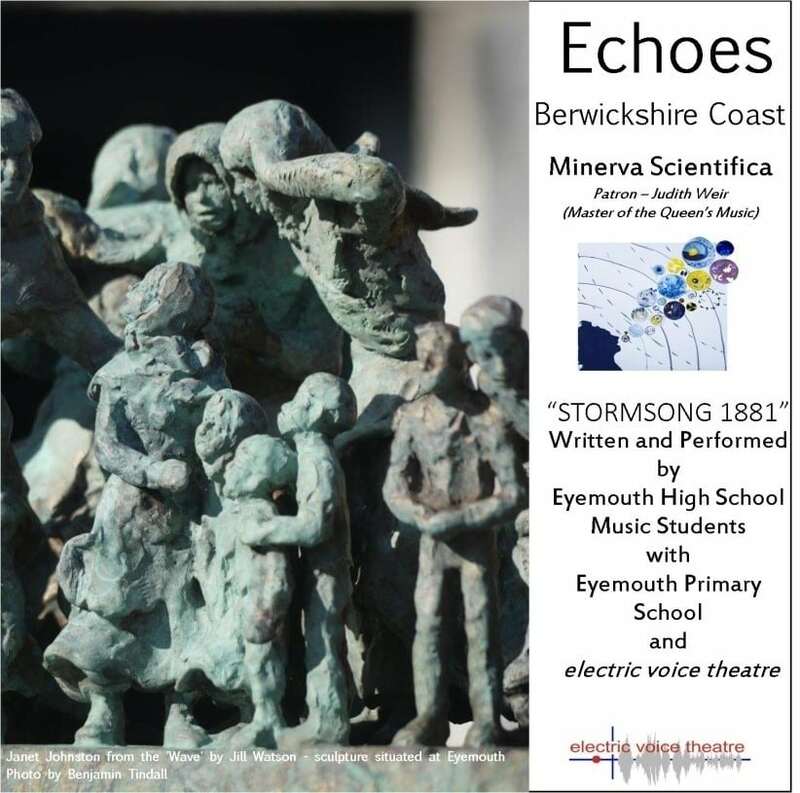 Of course, we recorded a CD for Echoes – Berwickshire Coast of our own compositions. 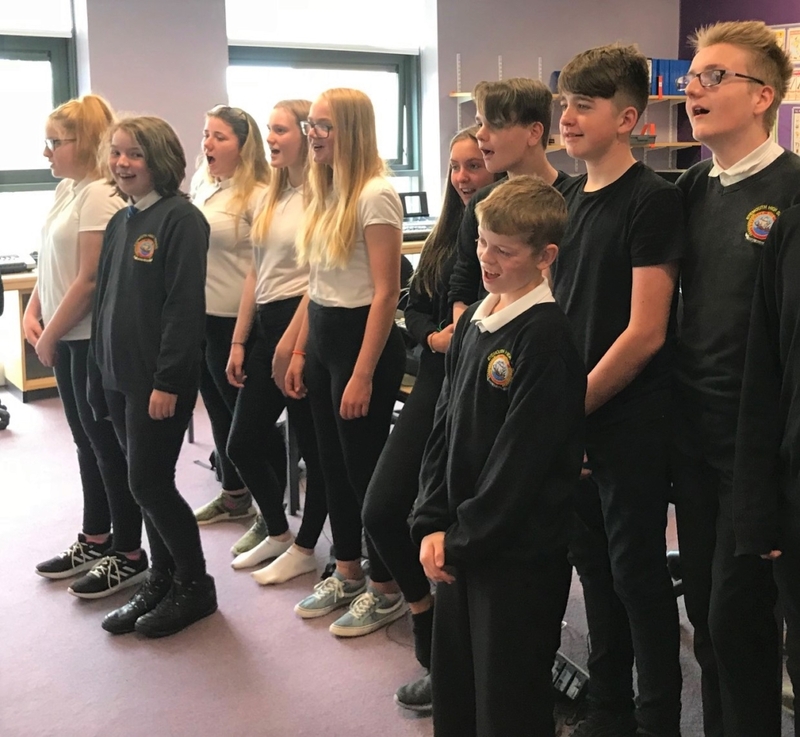 As a class we all came from different areas with different ideas and working styles yet we all got along really well, and by the end of the year we developed a really good relationship with one another and came out of the class as friends. This enabled us to have a pleasant atmosphere in all our lessons.